To complement the work we are doing in the catchment with United Utilities and the Greggs Foundation, in autumn 2016 we established the Crookhurst Catchment Farmers Group. The group is part of Natural England’s Countryside Stewardship Facilitation Fund and meets once per month at different locations in the catchment. The group has been set up in the hope that the members will work together to improve the natural environment at a landscape scale. It is anticipated that by working together the group can connect fragmented areas of priority habitat such as hedgerows and buffer strips, and develop a coordinated approach to water management, considering the implications up and downstream of the area they manage. Group members will be able to share ideas and experiences of how to go about implementing specific options of Countryside Stewardship agreements. 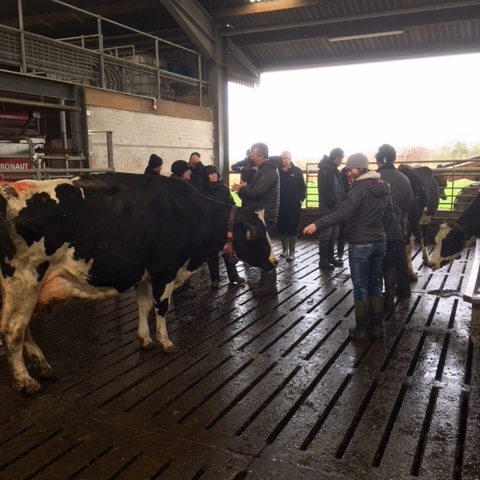 As well as considering stewardship options the group is also a great way to share experiences of general farming practices and methods of working. We invite specialists to come along to the monthly meetings to talk to the group about a range of topics. Meeting event themes have included; making the most of muck and slurry, resource management to improve grassland performance, lameness control and natural flood management on the farm.